Are you looking for a holiday park with a swimming pool? Why not go a step further and visit a holiday park with a water park! At HolidayParkSpecials, we have a fantastic selection of holiday parks with amazing water worlds, water attractions and unlimited water fun. 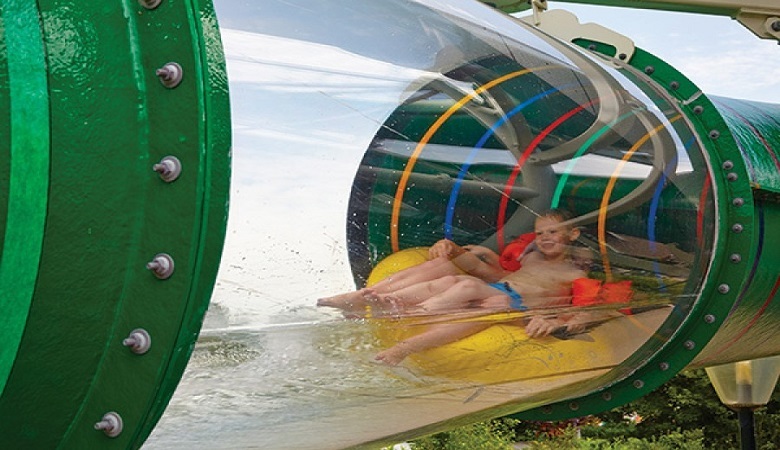 Browse through our top 5 water parks in Europe for your next holiday destination! 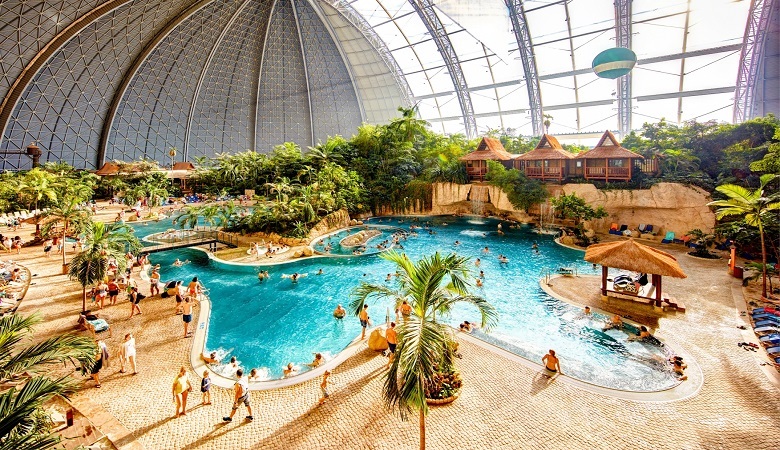 This fantastic resort in Germany is the largest Tropical Holiday World in Europe. Just 60km south of Berlin, Tropical Islands Resort guarantees that summer feeling all year round. You can take a leisurely stroll along the white sandy beach, with swaying palm trees and waterfalls. You can experience some of the most thrilling rides, including Germany’s tallest water slide tower which reaches 27 metres! You can even visit the rainforest, take a ride in an Island Balloon and enjoy the Fantasía Tropical Islands show! All in all, you will not be short of entertainment here. If you’re looking to relax and unwind, you can visit the sauna and spa and treat yourself to a massage. You can even buy fantastic souvenirs at the shopping boulevard – perfect for an afternoon activity. When you book with HolidayParkSpecials, you can enjoy a stay in a Scandinavian style holiday cottage and take a day trip to Berlin! Enjoy a wonderful family holiday any time of year at Tropical Islands Resort. As its name suggests, Theme and Holiday Park Slagharen gives you the best of both worlds. Situated in the Netherlands, this holiday park has its very own water park known as Aqua Mexicana. The park has plenty of facilities to keep the kids entertained as well as bring out the child in you. Some of the facilities include two aqua play areas, two spray parks, a swimming pool, and to top it all off, a bubble bath! While the children have the time of their lives at the water park, you can choose to sit back and relax in the hot tub. After a long aqua-filled day you can head on over to the theme park with all its unique and amazing rides to choose from. Nevertheless, you are guaranteed to always be occupied with a fun activity throughout your visit to Slagharen. Imagine you and your loved ones in the south of France basking in the sun and splashing around in a beautiful water park. That is what this holiday park, located in Ardèche has to offer. 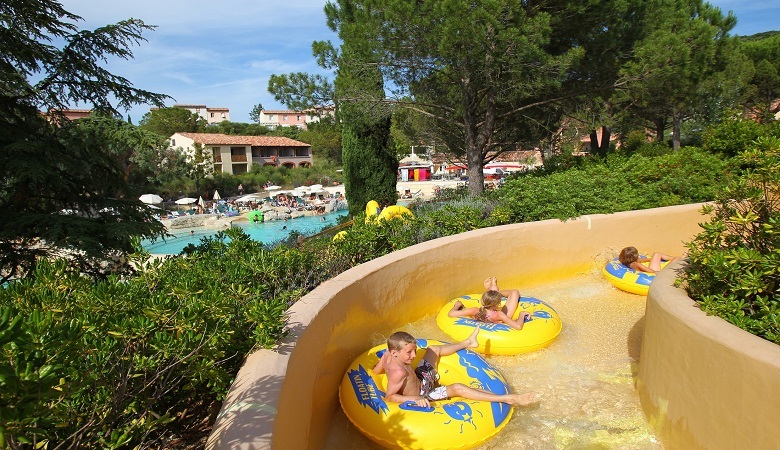 The water park features a crazy river which is 120m long, as well as a paddling pool for toddlers and a leisure pool. There is a beach pool that you can unwind in as well as a heated pool that is partly indoors making it convenient for different weather conditions. The adventure doesn’t end there as the holiday park offers different outdoor activities such as paragliding, canyoning, and horse riding. Children’s entertainment is also available in the form of clubs, play areas, a children’s farm and much more. You can therefore let them enjoy themselves while you do the same at the sauna and hot tub in the residence relaxation area. 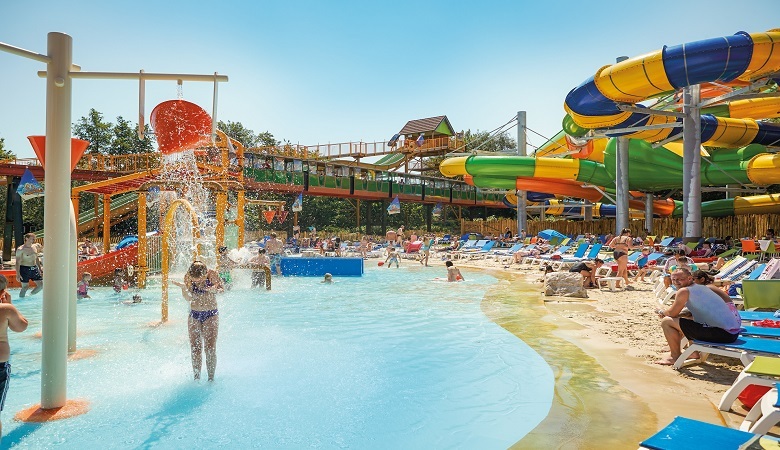 Why not combine a water park visit with the most child-friendly holiday park in Belgium? 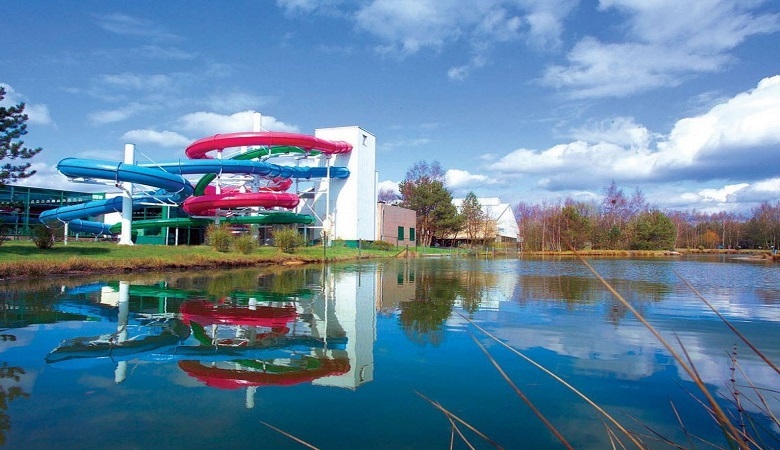 Park Molenheide is a holiday park with its own water park, known as Aquapolis. Aquapolis has not one, but four large swimming pools including a paddle pool for the little ones which comes with play equipment and cartoon sculptures. There are also four large slides awaiting you at the water park and a subtropical swimming pool in case you want to show off your swimming skills or exercise with some laps. 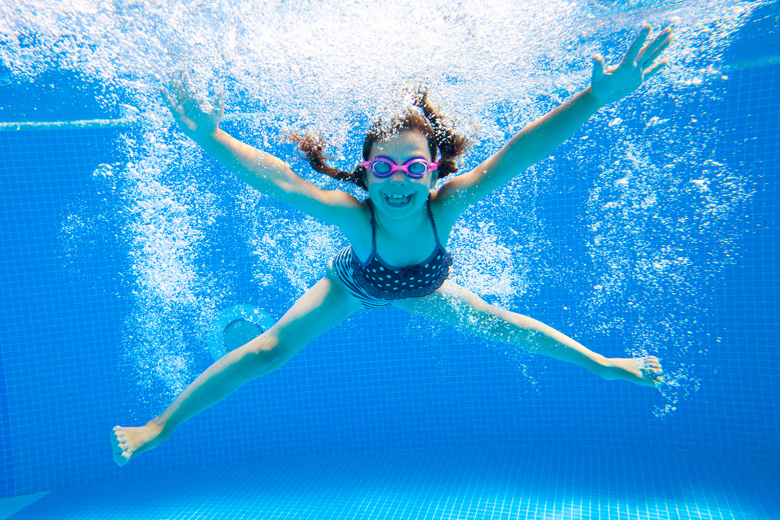 With all its facilities, Aquapolis is the ideal water park for both young and old alike! Marveld Recreatie is located in the Netherlands, near the ancient town of Groenlo. At this park, you’ll find plenty of water attractions. Try out the Crazy Cone, a slide with sensational light effects. 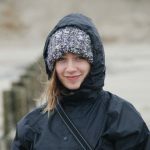 Quite an experience! This park is a real family park, ideal for a holiday with the kids. The water park features a separate pool for the younger visitors, and the surroundings are ideal for exploration all year round. You can rent bicycles or canoes at the park and enjoy a real adventure! For sporty types, there’s a whole range of sports facilities and activities to get involved with. What’s more, there’s an entertainment team for the kids and a luxury wellness centre. While the children participate in a variety of stimulating activities, you can unwind in the Jacuzzi, sauna, Turkish bath or solarium, pure bliss! Are you interested in visiting one of these water parks? Have a look at our best holidays parks with water parks and enjoy a wonderful family holiday with HolidayParkSpecials.